The Pacific name for hurricane. Monday morning we were anticipating a category five typhoon to hit Tokyo and to shut us indoors all day. God is good though and blessed us with a light rainfall and a delightful visit to a local café. 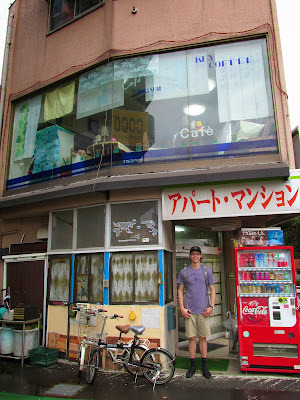 We roamed the streets of our local neighborhood in Senkawa in hopes of having lunch and our devotional time in a café we had seen a few times before, but instead we came upon one of those hole-in-the-wall places that usually turns out to be a wonderful experience or a disaster. Thankfully, this was an incredible experience! A short devotional time turned into a two hour feast, all for only 21 dollars. The shop owner was a tiny, elderly man who greeted us with a smile and some Japanese that we couldn't quite understand. We responded with our usual "Konichiwa" and our awkward smiles and snickers that signaled we had no hope for meaningful verbal communication. Kim and Josh proceeded to order only 6 teas. Instead of only serving us 6 teas, we all ended up with our own tea kettles, chocolates, toast and jam, pancakes, and numerous other delicious treats! It reminded me of the story of Jesus multiplying the loaves and fishes. After we sat down, the owner began playing an interesting assortment of American music. There was American country music by artist like Florida Georgia Line as well as some selections from Jay Z. There was even a cover of an Akon song sung in Japanese. Our team was full of our usual laughter. Humor is one thing this team is exceptionally great with. God seems to love our love for humor and blesses us with these kinds of situations often (I'll have to post a flashback post one day about our kayaking experience during church-serving week). Amidst the loud music we somehow managed to pay attention to Charlee as she led a devotional. We discussed the Father's heart for us and spent time in prayer and reading different scriptures. We also had a wonderful time of affirmation for each member of our team. It's always a blast to call out the wonderful talents and gifts that each person on this team has. We are all joy-filled people and our time together is always a blast. We also had a time of checking-in on one another. We spent time allowing each person to communicate how they had been feeling thus far within our travels. 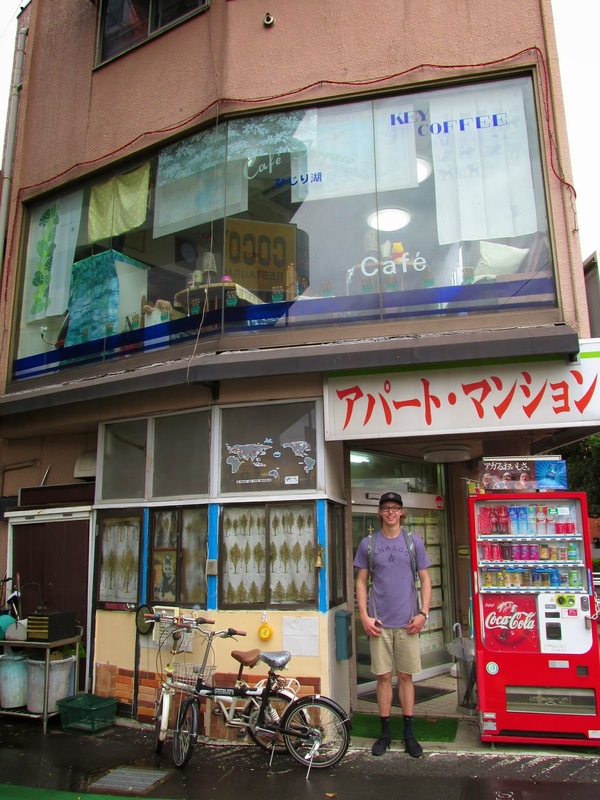 All of this happened in a small two-story café on the side of a street in Senkawa, Japan. God is wonderful and has plans far greater than we could ever plan for ourselves. We were thankful for the typhoon that never occurred because without it we wouldn't have ended up in that delightful shop and experienced the awesome team bonding that it brought.